There is always a number of new superyachts that grace the seas of the Mediterranean each season and this year is no exception. The Med is peppered with the finest vessels all cruising along the birthplace of yachting  the South Of France. To be in vogue though is to charter a new-to-the-market superyacht. Here we examine three of the top yachts for charter that have just become available. A guest list to rival that of any head of states event, the 50m superyacht Highlander owned by the Forbes family would frequently be entertaining the greatest in political and Hollywood fame. Cruising the east coast of America with Ronald Regan, Robert de Niro, Sir Paul McCartney, Baroness Thatcher, and others of notoriety on board, Highlander was the yacht to be seen on in the late 80s and early 90s. 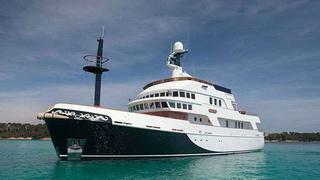 And she has just become available for charter in the Mediterranean. She was originally built for Malcolm Forbes, editor-in-chief of Forbes magazine in 1986 and served as his private entertaining space for the best part of 25 years. Conforming to the 80s style era of over the top opulence, Highlanders exterior was painted in green, representative of money and her interior boasted overstated elegance. Highlander was sold in 2012 to American financier Roberto de Guardiola, who ordered a full refit. This included lengthening of the hull and a complete change to her interior. She also lost her signature exterior green. Accommodating 12 guests across seven staterooms, luxury yacht_Highlander _now exudes class and sophistication. She is based in the South of France and available for charter in the region. Onboard Highlander boasts a Jacuzzi, helipad, an assortment of water toys and gym facilities. 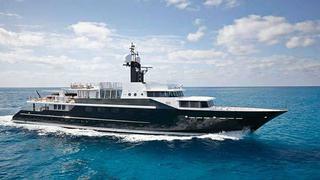 For the first time since build, the 34 metre explorer yacht Kirkland has come on to the charter market. She will be based in the Mediterranean from July 20. Kirkland has gone through several major refits since conception in 1993. These adaptations have included several upgrades to both her interior and exterior. In 2014, she underwent a full mechanical refit and emerged as good as new. Being a seaworthy, explorer yacht her robust exterior is complemented by her fine interior, designed by noted designer Terence Disdale  best known as the rock star designer. Disdales style is distinctive with its tactile finishes and rich textures  thought of as unusual for yacht interiors. Still, having designed a large number of yacht interiors, Disdale is a firm favourite on the scene. Kirkland, having never been chartered is new to the global charter market and keen for charters in the Med from July onwards. Her four large cabins accommodate nine guests. She boasts spacious options for dining; a sky lounge, spa pool and sauna for six. She charters from 70,000 per week. The 55.5m motor yacht Madsummer is to be offered on the charter market for the first time in July and August 2014 in the Mediterranean. 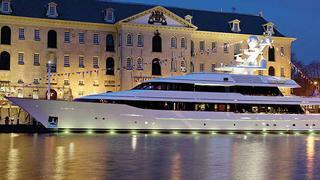 The Feadship yacht was originally built in 2005 with the design completed by De Voogt. She underwent a full refit in 2009 before being sold in 2014 when her name was changed from Issana to Madsummer. Today her interior is described as subtle, classic luxury. The company behind this is Redman Whiteley Dixon who is renown for classic sailing yacht interiors. However, the company branched out and have now been involved with motor yachts for quite some time  embracing the modern sleekness of a motor yacht with the classic feel of a sailing yacht. Charter yacht Madsummer accommodates 10 guests across five cabins, and offers state-of-the-art technology systems throughout. She is the perfect yacht for alfresco dining, and sun worshipping. She also has a range water toys too. Madsummer charter rates start from 325,000 per week.